The Federated Church is interdenominational; everyone is welcome. This is reflected in our doctrinal statement (see link on left), which affirms our commitment to the essentials of the Christian faith while allowing for diversity in non-essentials. We are evangelical. We believe in the Triune God-Father, Son and Holy Spirit; we believe in Jesus Christ as the incarnate Son of God, and in His atoning death, resurrection, ascension, and imminent return; we believe in the depravity of man and in the necessity of salvation by grace through faith; we believe in the Bible as the written Word of God, with full authority and without error; we practice baptism and the Lord’s Supper regularly, as well as dedication of children to the Lord. 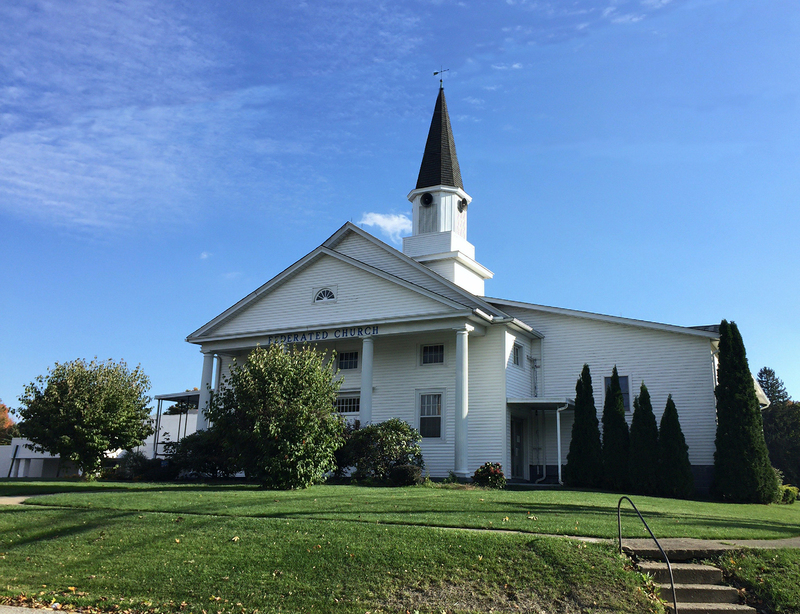 The Federated Church is a federation (union) of two churches in East Springfield, the Presbyterian Church, founded in 1804, and the Christian Church, founded in 1825. In 1931, under the leadership of the pastors of the two churches, the union was achieved and East Springfield had one church. In the middle 30s, the church called Dr. P.H. Augustine to serve as pastor. For more than 40 years, Dr. Augustine led the church and led us through many stages of growth and ministry. This included the rebuilding of the church building after a fire destroyed it in 1938, and the addition of offices and classrooms, and expansion of the sanctuary. Throughout the years, the church has had a strong commitment to reach young people. This led to the establishment of youth groups, Sunday School, and children’s choirs in the early years, and the building of the WLD Ranch in the 1960s. Dr. Augustine also led us into a world vision, and we became a supporting church for many missionaries, including some of our own people. In the 60s, the church experienced dramatic growth, and Dr. Augustine began to develop a staff of pastors to share the ministry, including the preaching. 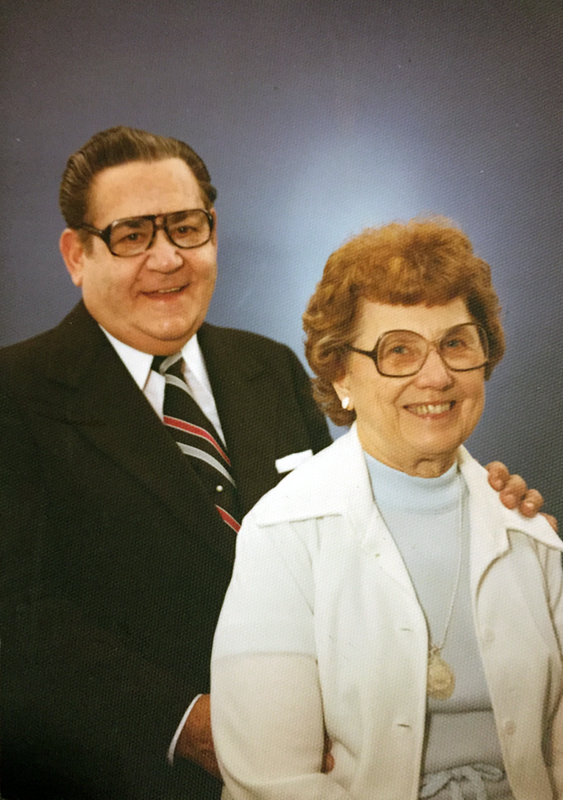 One of those called to help was his son, Wayne, who later became the church’s pastor in 1977, upon Dr. Augustine’s retirement. Pastor Wayne maintained the strong ministries begun under his father, and took us further into both radio and counseling outreach, as well as seminars to strengthen families. In the 1980s, our youth ministry began to take an aggressive approach to evangelism, and under Pastor Rick Plucknett’s leadership, an even stronger outreach to young people was established. At the same time, new efforts to minister to the elderly, to singles, and to children were begun. All this led to the need for a new facility, the Federated Family Center, which was built debt-free by the grace of God in the early 1990s. In 1993, Pastor Wayne Augustine moved to a new ministry, and the leadership mantle was passed on to Dr. Ed Huntley, one of several homegrown pastors in our history. Dr. Huntley and his staff (Associate Pastor Rick, Student Ministry Pastor Steve Pettis, and Children’s Ministry Pastor Matt Pushinsky, and Church Administrator Sam Ring) led the church into the 21st century to fulfill our purpose of rescuing, equipping and mobilizing every generation to make disciples of Christ. 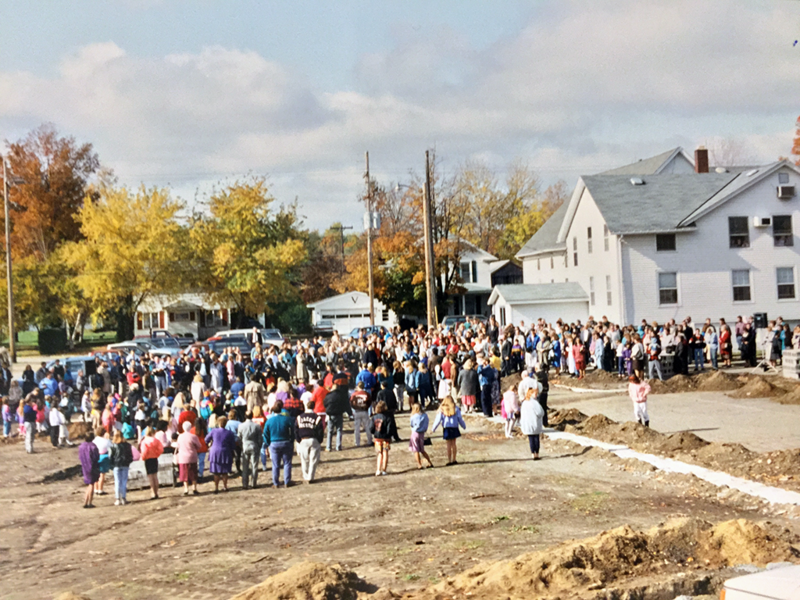 In the late 1990s, the sanctuary was expanded again, adding a new nursery, new classrooms on the basement level, and an elevator to access those classrooms and the church dining room. In the early 2000s, the Federated Preschool was opened across the street, and the church building and the the Family Center were connected, creating a Welcome Center. In 2014, Pastor Rick became our senior pastor (our fourth senior pastor in 80 years), and Pastor Ed returned to the associate pastor role that he filled before becoming the senior pastor. Under Pastor Rick’s leadership, the church is moving forward to fulfill Christ’s Great Commission. We believe in the verbal inspiration, authority, infallibility, and inerrancy of the Holy Scriptures as set forth in the original writings of the Old and New Testaments (2 Timothy 3:16-17; 2 Peter 1:19-21). We believe there is one God who is infinitely perfect, the Creator, Preserver, and Governor of all things. We further believe that the Godhead exists eternally in three Persons: God the Father, God the Son, and God the Holy Spirit, and that these three are one God (Matthew 28:19-20; 2 Corinthians 13:14; Colossians 1:12-17). We believe that Jesus Christ is the eternal and pre-existent Son of God, that He took upon Himself our form, having been begotten of the Holy Ghost and born of the Virgin Mary; that He perfectly obeyed the law, died on the Cross for our offenses, and rose for our justification; that He ascended to the right hand of God, where He ever lives as our High Priest, to intercede for and save “All that come unto God by Him.” We further believe and look for that blessed hope, the Second Coming of our Lord and Savior Jesus Christ. This blessed hope is indeed a mighty spiritual force leading us to lives of holiness, watchfulness and especially to earnestness and faithfulness in helping to send the gospel as a witness to all people (Matthew 24:14; John 14:1-3; Acts 1:11; 1 Thessalonians 4:13-18; Titus 2:12-13; Hebrews 9:28). We believe that because of the fall no man can see or enter the Kingdom of God, unless first born of the Holy Spirit, who is sent forth to carry forward the work of salvation in the hearts of men (John 3:1-8; Titus 3:5). We believe in the total ruin and depravity of man by nature through the fall. We believe that the attitude either of reconciliation or enmity toward God is eternally fixed at death, that the saints of all ages will be forever with the Lord, and that they will be joint heirs with Him as their Redeemer in His inheritance. We believe in the eternal salvation of all who believe in Jesus Christ and who receive Him by faith as their personal Savior, and in the eternal punishment of all who reject Jesus Christ (Genesis 6:5; Psalm 14:1-3; Romans 5:12). The church encourages the practice of Baptism upon profession of faith, believing this to be the teaching of the New Testament (Matthew 28:10, 19; Acts 2:38; 8:12). We believe that the Lord Jesus Christ is the only Head of the Church (Ephesians 1:22-23). We believe that the Holy Bible is a sufficient rule of faith and practice (2 Timothy 3:16-17). We believe that character which demonstrates faith in Jesus Christ is a sufficient test of fellowship and of church membership (Matthew 7:21; John 1:12; John 3:15). We believe the ordinance of the Lord’s Supper was instituted by the Lord Jesus Christ and is to be observed in His Church in continuous remembrance of Him (1 Corinthians 10:16-17; 11:23-26). We encourage all Christian parents to present their children in dedication to the Lord that they may be made the subject of united and solemn prayer. The parents take vows to give their children Christian training and to live a Christian example before them so that at an early age they may receive Jesus Christ as their personal Savior (1 Samuel 1:21-28; Mark 10:13-16; Luke 2:25-30; 18:15-16). We believe that private judgment and the liberty of conscience is a right and privilege that should be granted to and exercised by all (Matthew 5:19; Galatians 3:13). honoring God through daily worship and obedience. Evangelism and mission outreach, beginning in East Springfield and extending to the ends of the earth. Reaching young people for Christ through evangelism and discipleship. The training of believers for growth and maturity leading to ministry. The teaching and preaching of the Bible for instruction in righteousness. Lifting up the church and world through fervent prayer.